"Pick a package below, and sell your own Home on Australia's Leading Real Estate sites!" 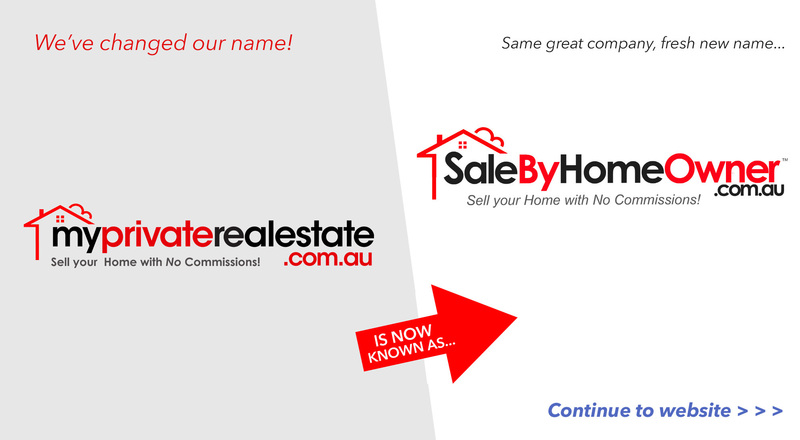 We are a Fully Licensed Real Estate Agency customer of realestate.com.au! - Selling your own Home is easy! - Simply pick an Advertising package below, upload your property photo's, write your Ad & your Home will be visible to Millions of Buyer's on realestate.com.au & Australia's other Leading Real Estate Sites! - Listed until Sold! FREE 7 DAY TRIAL! - We're now offering Home owners a Free 7 Day trial of our services! Simply Click here to create your Free account, Upload your Advertising text & photos, & try our great services Free for 7 Days! No credit card or payment is required! - For any help, watch our quick 'How to list your Home' tutorial video. Once uploaded, be sure to Verify your ownership at our 'VERIFY' Page. YOUR HOME'S SELLING PRICE REAL ESTATE AGENTS COMMISSION YOUR SAVINGS! For sale By ownerFor Sale By Owner list home privately australia. Find good houses for sale by owner. Forsalebyowner. Search for private home sales.